Ground loops can be a problem when using USB audio devices. It generally happens when they are more than one ground path between two devices. This can result in hum, whining noises or artefacts. The ground shared with the computer is also often quite "dirty" as it is shared with the computers circuitry, processor and possibly also other devices in your house. It can be of great benefit to break the connection to the noisy ground and create a new separate ground. 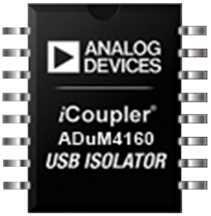 This can be done with a usb isolation chip such as the adum4160 from Analog Devices. This chip will create a new ground reference on the device side which will break any ground loop and remove the noisy ground. The adum4160 chip is UL rated for 5000V isolation for 1 minute (UL 1577) and will also protect your devices from electrical shocks and damage from static electricity. The device side needs to be powered separately. It can be done by supplying external power or power can be taken from the USB rail using a DC DC converter, as we have done with in our usb isolator. The DC is further smoothened with a LC filter. Our DAC 2 (UAE23+) includeds the adum4160 chip inside the device to have the DAC always isolated from USB hub ground. This DAC always needs to be supplied external power to function. The benefit of this is that a good quality power supply can be connected and the USB power will not be used at all. In listening tests the usb isolation have proven to significantly increase the sound quality to connected audio devices. The usb isolation is "transparent" from the computer. You dont need any drivers or special settings on your computer for it to work. Just plug it in and connect your device. There is a couple of limitation you should be aware of. First, the adum4160 chip support USB "Full Speed" 12Mbps but not "High Speed" 480Mps. This means that DACs accepting up to 96/24 sample rates will work. However if you have a dac that support 192kHz (or higher) sample rates, then it will not work as USB "High speed" is required for anything above 96/24. Note - there is some confusion regarding the use of "USB 2.0" vs "High" and "Full" speeds. USB 2.0 refers to the standard (released in 2000) and supports both Low, Full and High speed. USB 3.0 (released April 2008) additionally supports "SuperSpeed" but still supports low, full and high transfer speeds. So even if your device says it supports USB 3.0 or 2.0 it will work if it runs on Full speed (12Mbps) which is the case for all dacs that support max 96/24. Second, our usb isolator only provides 200mA of power to power your device. 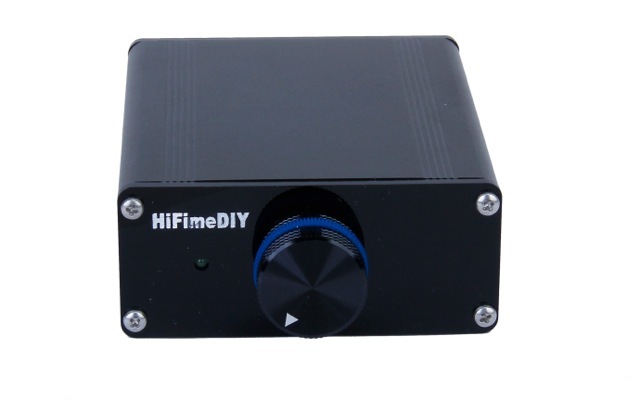 This is sufficient for many devices, but there are DACs and sound cards that will require closer to 500mA which is the max output a normal USB port can deliver. To give you an idea of power consumption we can inform that our Tiny dac requires only 30mA (!). Adum4160 does accept both Low and Full speed devices, but a setting needs to be changed to select Low speed. Our usb device is factory set to support Full speed devices only, this means that low speed devices like USB mouse, keyboards will not work without modification. With some computers it will no wake up from sleep by itself, meaning you have to unplug and plug it back in.